Jagermeister has a pleasant spiced anise flavor that lends itself well to many creative cocktails. 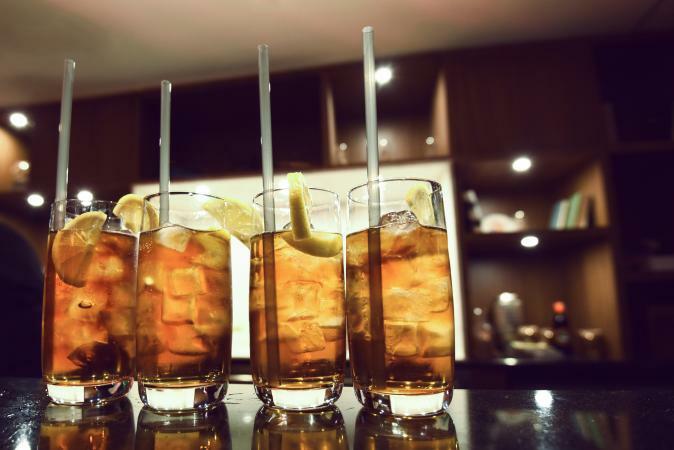 Try these original recipes or create your own at your next party for an interesting twist on drinks that goes well beyond the Jager bomb. This light, fizzy cocktail is a great summer refresher. It makes one cocktail. In a cocktail shaker, combine the Jagermeister, simple syrup, and lemon juice. Shake to chill. Add more ice to an old-fashioned or lowball glass. Strain the Jagermeister combo into the glass. Top off with club soda. Garnish with lemon slices and a mint sprig. Washing the glass first with a small amount of absinthe strengthens the anise flavor of the Jagermeister in this tasty martini. It makes one drink. 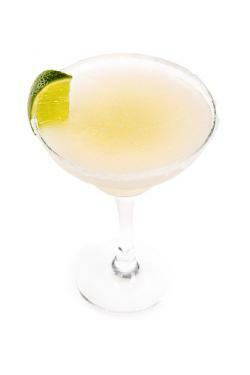 Run the lime wedge around the edge of a martini glass to wet the rim. Set the wedge aside for garnish. Spread the sugar in a thin layer on a shallow plate and dip the wet rim into it to rim the glass. Rinse the glass with absinthe, swirling it around to coat the glass and discarding any leftover absinthe. In a cocktail shaker, combine the ice, Jagermeister, lime juice, peach juice, simple syrup, and amaretto. Strain into the prepared glass. Jagermeister is a German liquor with a stag on the bottle, and when you combine it with tropical flavors, it's an interesting...and tasty...combination that highlights the flavorful herbs in the liquor. This recipe makes one drink. Add the Jagermeister, Malibu rum, pineapple juice, and grenadine. Mix with a spoon. 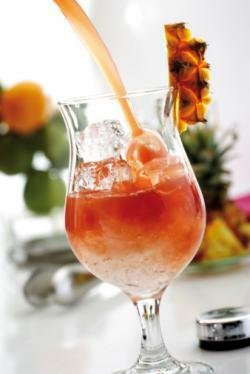 Serve garnished with the pineapple slice. Gin is an herbal blended liquor, and so is Jagermeister. So Jagermeister lends itself well to a dry martini if you prefer your drinks on the drier side. 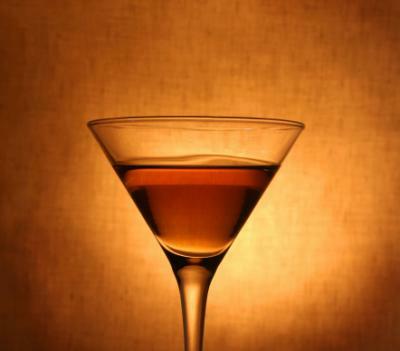 Try this classic twist on a dry martini. It serves one. In a cocktail shaker, combine the ice, Jagermeister, and dry sherry. Garnish with a twist, if desired. The most classic and well-known Jagermeister cocktail is the Jager bomb, but this herbal apertif lends itself well to other cocktails, as well. Four Horsemen of the Apocalypse is a Jagermeister variation of the Four Horsemen cocktail. Use Jagermeister in any cocktail designed to go with absinthe. It will be slightly weaker in licorice flavor but still delicous. Jagermeister's website has a whole slew of cocktails designed especially for all variations of their liquor. Jagermeister is a highly versatile liquor. With a blend of more than 56 herbs, this herbal liquor makes a mighty tasty cocktail. If you've never tried it or only enjoyed shots or Jager bombs, try mixing it for enjoyable new flavors.